Zane and Bernie have been working towards upgrading their on-farm irrigation infrastructure since moving on to the farm. They’ve installed a reuse system servicing 130ha and converted 63ha to best practice high flow flood irrigation. Was it worth it? Come along and find out. Elizabeth Shotter from EFS Consulting will be presenting the findings of the projects and Zane and Bernie will share the lessons they’ve learnt. “The labour unit has better than halved since the upgrades.” Zane Carnachan. 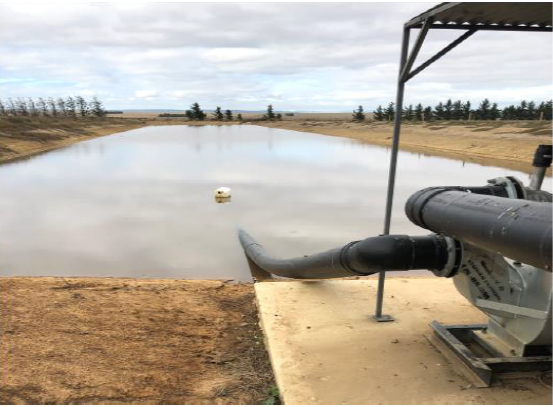 11am – Farm walk to look at reuse system and updated flood irrigation with discussion on the total cost of the project, water saved, and lessons learnt. Contact the Agriculture Victoria irrigation team Maffra – Khan, Alexis, Janice or Sarah on (03) 5147 0800.